Published October 20, 2016 at 728 × 488 in Reuters Picture Archive. 2016 Rio Olympics – Artistic Gymnastics – Final – Women’s Individual All-Around Final – Rio Olympic Arena – Rio de Janeiro, Brazil – 11/08/2016. 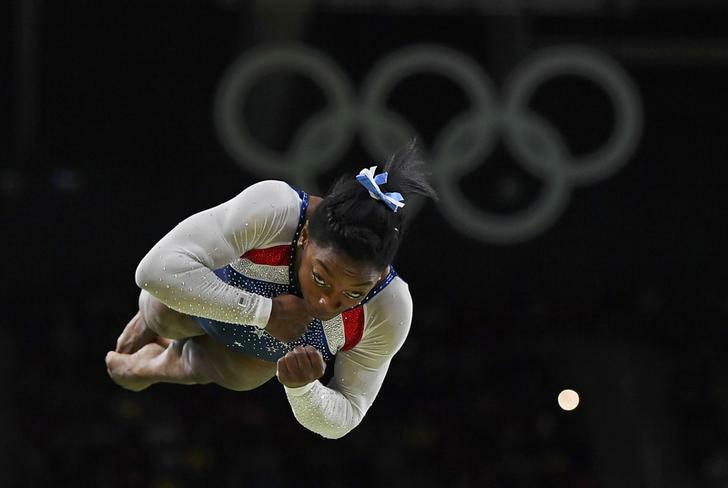 Simone Biles (USA) of USA competes on the vault during the women’s individual all-around final. REUTERS/Dylan Martinez TPX IMAGES OF THE DAY. FOR EDITORIAL USE ONLY. NOT FOR SALE FOR MARKETING OR ADVERTISING CAMPAIGNS.